Swnami have won this year’s Welsh Language Album of the Year for their first album, Swnami. This was announced at a special ceremony in Caffi Maes B this afternoon. It is difficult to believe that this is Sŵnami’a first full length album, as their melodious pop songs are so well known throughout Wales. This is a direct synth-pop album, far more personal than their previous songs, but much less ambiguous according to the band. This is a group which has proved very popular across the country and further afield having represented Radio 1 at the Eurosonic Festival in Groningen. “Swnami’s album has had a great impact this year. The songs are all popular and appeal to a wide audience. This is a pop album which has bridged the generations, which is something quite rare. 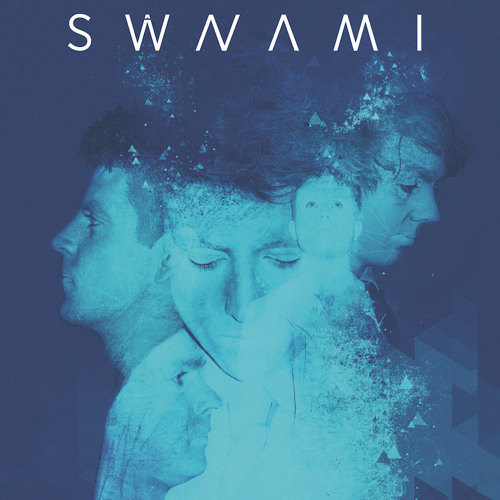 Swnami have managed to create an album which appeals to people of all ages. “This is the first time a pop album has won the Welsh Language Album of the Year prizes. Last year’s winner was Gwenno Saunders with her conceptual album, Y Dydd Olaf, which proved very popular. This year’s adjudicators were Casi Wyn, Dwynwen Morgan, Elan Evans, Sioned Webb, Elliw Iwan, Siôn Llwyd, Gwion Llwyd, Ifan Dafydd and Richard Rees. Swnami will receive a specially commissioned trophy, made by blacksmith Ann Catrin Evans.